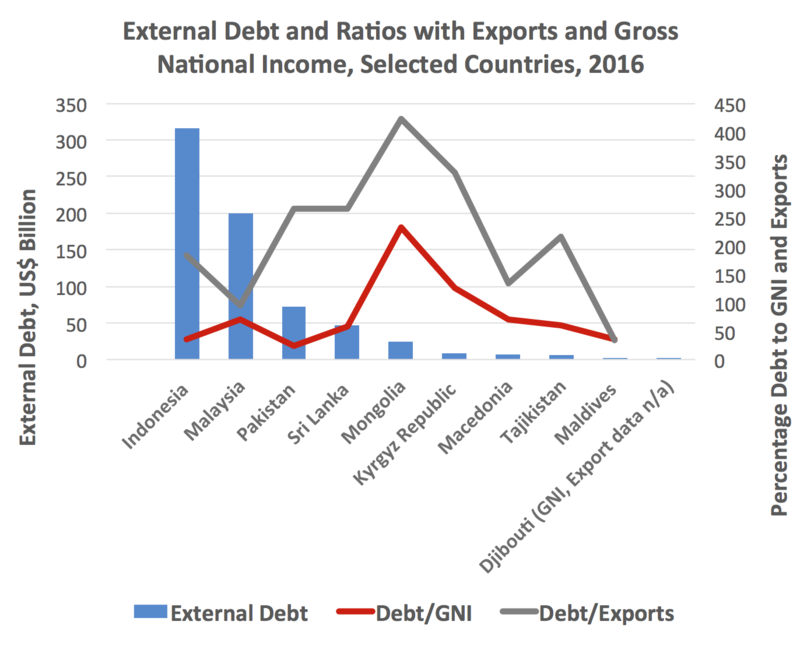 Developing economies need infrastructure, but worry about the debt accompanying China’s Belt and Road Initiative. China has launched a new publicity drive to promote the benefits of its Belt and Road Initiative – and the surprise is that a publicity campaign is necessary at all. BRI was unveiled in late 2013 to build infrastructure in Asia, Africa and Europe, strengthening trade linkages via new versions of old land and sea routes between east and west, showing China as a strong global payer, financing viable projects and not projecting strategic power. Soon afterward, the initiative was widely seen as a propaganda masterstroke, providing badly needed investment in roads, railways, power and ports to countries in dire need of such infrastructure while showing China’s commitment to open trade. Chinese money was seen as cheap, available and without some of the strings attached to loans from the likes of the World Bank and the Asian Development Bank. As part of the overall goal, China also sponsored creation of the Asian Infrastructure Investment Bank, gaining support from European countries while the US stood aloof. Criticism of BRI by its targeted beneficiaries has surfaced earlier than expected, as the shadow of debt begins to loom over some once-enthusiastic borrowers – thus, the motivation behind China’s new campaign. Officially, China is sticking to its original script, but in practice caution is rising in the government and among state corporations. Beijing leaders do not want to be seen throwing money away to feckless foreigners while so much still needs to be done at home. At one level, a shift in foreign perception of BRI could be seen as reflecting a global tendency toward tighter money and higher interest rates after years of unusually low levels since the 2008 financial crisis – and fits with China’s policy of reducing domestic financial risk after years of bold GDP growth targets. But criticisms are becoming more specific. Mahathir Mohamad, lately reinstalled as prime minister of Malaysia, highlighted foreign fears in August and warned of the dangers of a “new colonialism.” His experience and age, and that he was on an official visit to China, gave special weight to his words. Mahathir’s comments followed an election campaign during which he had attacked multibillion dollar, China-financed projects as unaffordable for a country with already large debt. He criticized projects, now subject to cancellation or renegotiation, as partly driven by Chinese strategic objectives relating to the South China Sea and Melaka Strait. He also criticized China’s purchase of Malaysian power stations, deals done by his predecessor, Najib Razak, to bail out the scandal-ridden state investment company, 1MDB, casting this as China’s attempt to gain leverage with a beleaguered prime minister. The Malaysian spat will probably not have lasting impact on relations between Kuala Lumpur and Beijing, but it has been noticed, not least by countries with bigger debts and greater reliance on China than is the case for Malaysia. The criticism comes at a time when other events have drawn attention to the dangers of excessive borrowing in foreign currencies. Most obvious is Venezuela, which has borrowed some $20 billion from China. Even partial servicing of the debt through oil supply is crippling. The Venezuelan loans mostly date back long before BRI and have no direct connection. But excessive foreign debts have a long history of spurring economic turmoil or subservience to lenders. Five of the eight most vulnerable countries, according to the Center for Global Development – Mongolia, Pakistan, Laos, Kyrgyz Republic and Tajikistan – share a border with China and two small countries, Maldives and Djibouti, are strategically located on the Indian Ocean. Of major countries, Pakistan is the most overtly in debt to China. The China-Pakistan Economic Corridor has a price tag of upwards of $50 billion. It includes links between China – the 4,800 meter Khunjerab Pass – along with the Gwadar Port and other projects carried out by Chinese companies, often using Chinese labor. Pakistan certainly needs investment, but its huge trade deficit and shaky relations with western countries make it hard to service loans whether in US dollars or yuan. The dangers of some project-specific lending also come under scrutiny. Sri Lanka set off on a borrowing spree under former President Mahinda Rajapaksa. A huge China-financed port and airport project at Hambantota on its southeast coast is a commercial disaster, forcing Sri Lanka to swap more than $1 billion of debt for an 85 percent stake by China Merchants, a state entity. The project does little business yet is a regular host of Chinese submarines, much to India’s discomfort. China has been adept at winning friends in countries seeking to offset the influence of bigger neighbors. For Turkic-speaking, nominally Muslim Central Asian countries, the Chinese investment provides some offset to Russian might. Likewise, small countries ranging from Laos to Djibouti to Montenegro have opened themselves to massive – relative to their size – Chinese loans. Some loans make economic sense. For example, a railway from Djibouti to Addis Ababa, opened in January, provides a crucial trade link for landlocked Ethiopia, particularly since conflict with Eritrea cut off road access to Massawa port. Thanks to China, Kenya now has a modern rail link from its major port Mombasa to Nairobi – needed because a colonial-era railway fell into neglect. Kenya chose $3.5 billion new construction instead of refurbishing the old. Ironically China’s first railway venture in Africa – from Tanzania to Zambia, completed in 1975 – now operates at a fraction of capacity. A railway being built through Laos is almost entirely to provide China easier access to Thailand, eventually linking with high-speed lines to Bangkok. The economic viability of costly projects through thinly populated and mountainous country may be dubious. There has been talk of improved rail links between China and Europe to spur trade. But Central Asia already has an extensive Russian-built rail system, and the thinly populated region lacks the density to make high-speed trains competitive. Mountainous terrain and closed borders are other obstacles to land transport from China to Europe and the Middle East. Ships remain much cheaper, planes faster. Even when borrowers are aware of the dangers, short-term political considerations may be the priority both for China and local rulers anxious for grandiose projects financed by long-term loans. That said, there are many potentially profitable, socially desirable projects in countries such as Indonesia and the Philippines where infrastructure development has long lagged. Since the election of President Rodrigo Duterte, the Philippines has looked to China for money, even at the cost of soft-pedaling its 2016 victory with the Permanent Court of Arbitration backing almost all its South China Sea claims against China. Projects in the Philippines and elsewhere in populous Southeast Asia are often held back by factors other than lack of money: project design and management capability, bureaucratic infighting, land-acquisition difficulties and more. The established development banks have large sums allocated for projects that remain unspent. China’s methods may be more effective, less subject to rules designed to protect the environment or minority rights, but they carry a price as opposition to dam projects in Myanmar has shown. China is learning from past mistakes involving large-scale corruption and brash behavior. There is less emphasis on bringing in large numbers of Chinese workers, who may enable faster project completion but arouse local resentment. Recipient countries may argue that bad projects are better than no projects, and China will bear most of the losses anyway. For some countries, Beijing is less threatening than western powers have been – and the US remains in some regions. If money is tight globally, the Chinese purse may prove more open than others, particularly that of a Trump-led United States. Chinese largesse under the BRI umbrella will remain a feature of global strategy and commerce for the foreseeable future – at least until China decides that the political clout from lending money is not worth the losses that follow. *Philip Bowring is a journalist who has been based in Asia since 1973. He lives in Hong Kong, dividing his time between writing columns, books and helping develop Asia Sentinel, a news and analysis website. The USA built the Panama Canal and the worldwide system of International Airports, all of which have been a boon to mankind. Since then, however, USA hasn’t built anything but military bases which it is using to thwart China’s efforts to build much needed infrastructure in areas of the world that USA capitalism has ignored – or plundered and left nothing but waste behind.